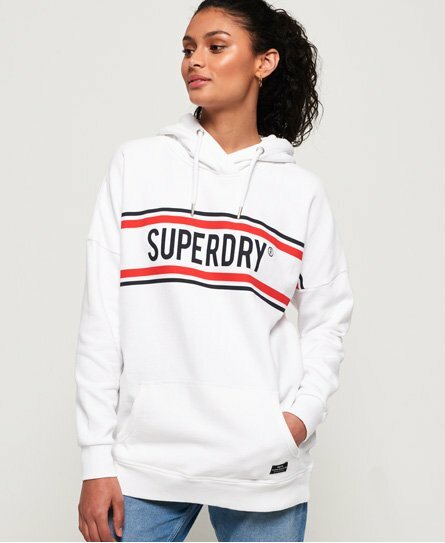 Superdry women's Yasmine hoodie. Layer up with the Yasmine hoodie. This overhead hoodie features a drawstring adjustable hood, ribbed hem and cuffs and a large pouch pocket. 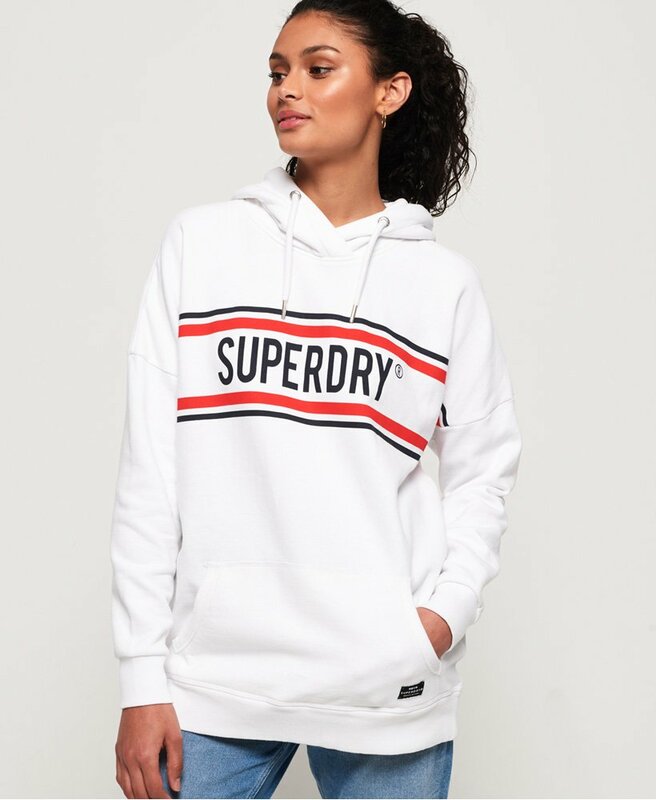 Completed with a Superdry logo graphic across the chest and logo badge on the pocket, this hoodie is luxuriously soft, making it great to cosy up in this season.